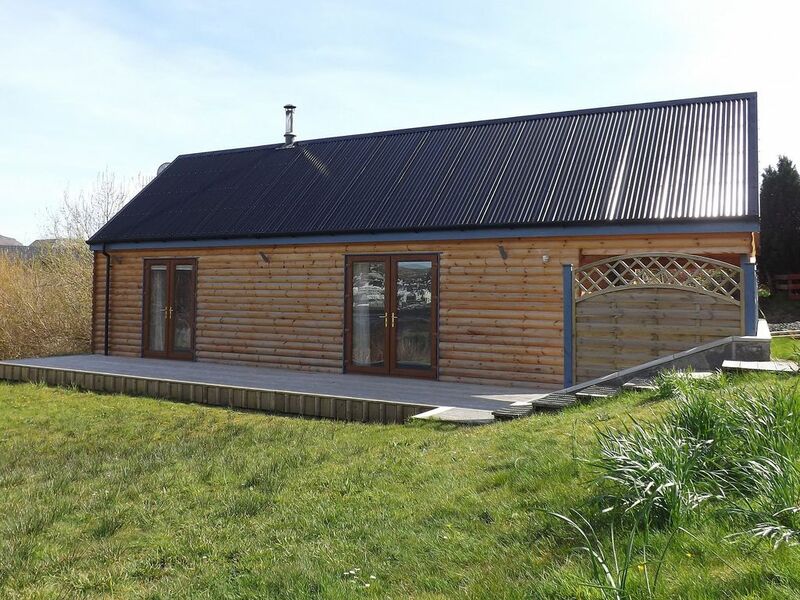 Beautiful, comfortable chalet "Portree", detached. 50 m from the sea. For shared use: garden. Private: patio, parking at the house. Shop 1 km, supermarket 1400 km, bus stop 600 m, ferry "Uig Ferry" 24 km. Golf course (18 hole) 22 km, sailing school 2 km, riding stable 17 km. Nearby attractions: The Aros Centre 500 m, Ashaig Beach 46 km, Isle of Raasay 26 km, Sleat Peninsula 46 km, Boat trips 1.5 km. 2-room chalet. Bright, comfortable and cosy furnishings: open living room with satellite TV (flat screen), wood-burning stove. Exit to the garden. 1 double bedroom with 1 double bed and shower/WC. Exit to the garden. Kitchen (4 hot plates, oven, dishwasher, microwave, freezer). Electric heating. View of the countryside. Facilities: washing machine, dryer. Internet (WiFi, free). Please note: non-smokers only. TV only EN.